This is the final installment of the Emma Holden trilogy, loved by millions and which Jeffery Deaver has praised for its 'breakneck pace' and 'brilliantly unfolding puzzles'. Twists and turns throw suspicion on one friend after another and on members of her family too. As the plot reaches almost dizzying speed, she uncovers sinister machinations in the world of London film and theatre and soon finds she is engaged in a fight for her very life. The thrilling conclusion to previous books in the trilogy; The One You Love and The One You Fear. Paul has been writing regularly for over twelve years and has had material broadcast on BBC radio and ITV television, as well as being long listed for the 2004 London Book Fair Lit Idol competition. 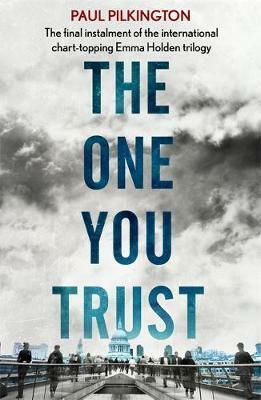 He was inspired to write his first suspense mystery, The One You Love, through his love of novels such as those by Harlan Coben, Linwood Barclay, Nicci French and Thomas H Cook. His aim is to create fast-paced, twisting and turning fiction that both stirs the emotions and is hard to put down.